Eye cancer (ocular melanoma) is a cancer type that affects cells called melanocytes within the eyes. It can either be cancerous or non-cancerous. Sometimes, cancers arising elsewhere in the body can spread to the eyes. 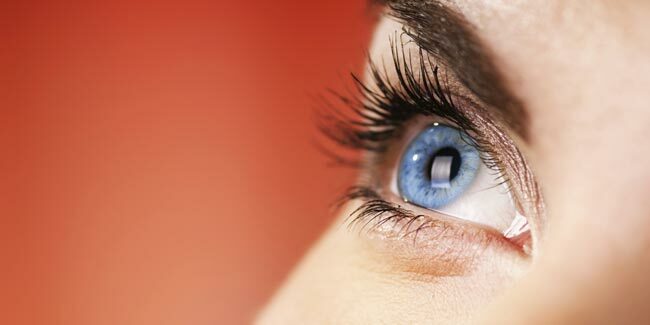 Eye cancer is a rare condition that may not cause any noticeable symptoms. Tumour developing in the eye can affect any of the eye structures, including the optic nerve, the retina, the iris and the eye muscles. The symptoms of eye cancer vary according to the structures involved. Blurred Vision: Affected patients may have vision alterations such as blurred vision. The cancerous cells within the eye interfere with a patient's ability to see. In some cases, patients may lose full peripheral vision, also called side vision or the vision field along the outside of the centre gaze. Floaters: Floaters, unusual spots or lines that affect a patient's normal field of vision, are indicative of eye cancer. Usually, these occur sporadically while certain patients experience abnormal flashes of light or shadows within their field of vision in addition to floaters. Iris Dark Spot: A dark spot in the iris that becomes progressively larger over time is one of the signs of eye cancer. The sign occurs only within the affected eye and may affect a patient's ability to see normally. Eye Displacement: The affected eye may develop a large growth or tumour, which sometimes can cause the eye to become displaced within the eye socket. As a result of this, the affected eye may appear to bulge from the socket or may not be able to move normally within the socket. According to the American Cancer Society, severe eye displacement can be associated with sensations of pain within the eye, though these symptoms of eye cancer are quite rare. There could be unusual eye displacement which is a sign of alternate medical conditions. Visual Distortions: Eye tumours may cause visual distortions. According to The Eye Cancer Network, choroidal hemangioma (a noncancerous blood vessel tumour within the eye) can cause the appearance of flashing lights. Growth of the Eyeball: Affected patients may have changes in the tissue lining the eyelids and covering the white area of the eyeball, which makes eyeball appear large. These symptoms may indicate other eye-related medical problems. 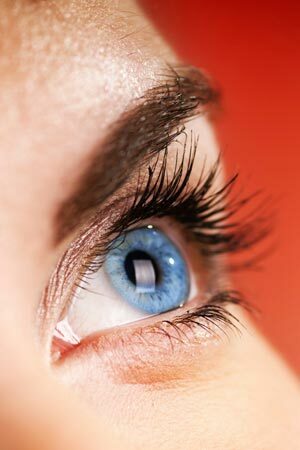 Therefore, patients who develop any eye cancer signs should discuss with a doctor for further evaluation and care. Early identification of symptoms, diagnosis and treatment is necessary to minimise the risk for permanent loss of vision and potentially life-threatening complications. Read more articles on Cancer. What are the Causes of floater in the eye?